November 3 brings another election day that lacks the big attention of presidential voting, but is important for all Pennsylvanians. The race in the Supreme Court of Pennsylvania will be watched closely because it’s the highest court in Pennsylvania and the small Republican-held majority may be taken away. Death sentences, reversing sentences and hearing lower courts’ cases are part of the job description as a justice of the Supreme Court. Currently the 5-judge court has a 3-2 Republican majority. You’ll see three Republicans and three Democrats and one Independent on the ballot slip Tuesday, including the brother of union leader John Dougherty, Judge Kevin Dougherty (D.). Back in January, the Philadelphia Bar Association released a press release announcing its recommendations for the candidates running for court positions. The Philadelphia Bar Association gave a high recommendation when a candidate, based on the Bar Association’s assessment, had the highest combination of legal ability, experience and integrity. A “recommended” approval was defined as a candidate that would be able to “satisfactorily” perform as a judge or justice. The Bar Association defines its “not recommended” reasoning as a candidate, based on legal ability, experience or integrity, being inadequate in performing satisfactory work in the courts. Check out the graph below for how the Philadelphia Bar Association has appraised the candidates from Philadelphia. The Philadelphia Bar Association chart of recommended and not recommended candidates for Philadelphia and Pennsylvania courts. *In 2014 Lazarus won the Sandra Day O’Connor Award from the Philadelphia Bar Association. 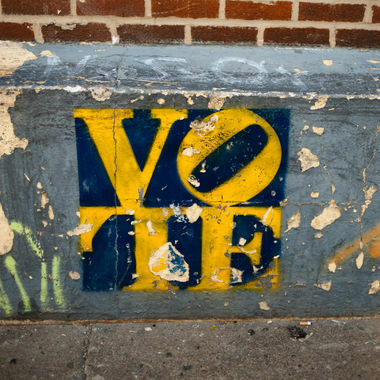 The Philadelphians that do trickle into an election booth tomorrow will most likely elect Jim Kenney (D.) as the 99th mayor of Philadelphia or one of his challengers Republican Melissa Murray Bailey or Independents Jim Foster or Osborne Hart. City Council seats up for grabs are: city-council-at-large, the 9th District that Olney resides in and city commissioners. Jewell Williams (D.) is running for reelection as sheriff and the register of wills, who oversees inheritance and marriage-license issues, has a two-person race. Click this link to find your polling place. The polls are open from 7 a.m. to 8 p.m. on November 3. ← La Salle University documentary premieres in Olney on Saturday.